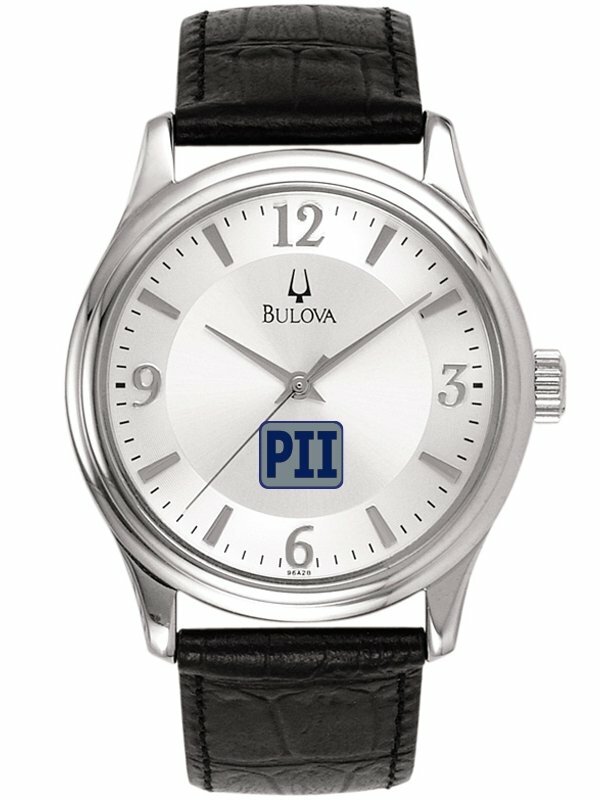 Brand name promotional watches with your logo Bulova Classic Mens. Economical choice with your company logo 4CP printed on the dial. Black leather strap, and a silver dial. Bulova Branded Box.